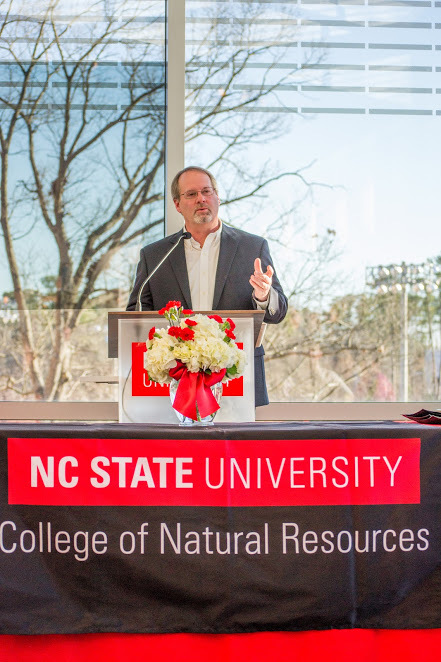 The Elis-Signe Olsson Professorship in Pulp and Paper Science and Technology is an honor bestowed to a professor in the NCSU Pulp and Paper Program. Established in 1971 by Sture Olsson in honor of his parents, its purpose is to strengthen the Pulp and Paper Science and Technology Program by recognizing a professor with an established reputation in the pulp and paper community. Dr. Richard Venditti was awarded this honor on January 1, 2018. He demonstrates the NC State motto ‘Think and Do’. Dr. Venditti has an impressive 25 years of teaching and extension in the Paper Science program while also leading research in paper recycling, polymeric products from wood, and environmental and life cycle analyses of various products and technologies. He has published over 100 articles and holds two patents. Dr. Venditti is a Technical Association of Pulp and Paper Industries (TAPPI) Fellow, a Fulbright Specialist in Environmental Science and has been awarded the Advocacy Award from the NCSU African American Graduate Student Association. When asked about the professorship, Dr. Venditti expressed his gratitude for the opportunity to represent the college. He thoughtfully reminisced about all of the people who had assisted him and provided comraderie throughout his career. 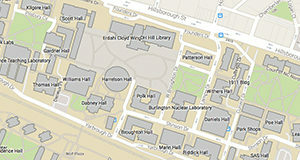 He acknowledged the help other faculty members and department heads provided, that have supported him, the undergraduate students who gave feedback to improve his teaching styles, and his team of graduate students who helped his research goals become reality. His commitment to the development of young professionals is evident, as he plans to use part of the funds from the award to improve student experiences. Whether it be attending conferences or access to new equipment, his continuing support will be greatly appreciated by all in the program. Dr. Venditti states that the honor will motivate him to continue advancing his research, teaching and extension in the pulp and paper technology field. In addition, Dr. Venditti is the director and co-teacher for the Hands-on Workshop for Pulp and Paper Basics, an industry outreach program sponsored by NCSU and TAPPI. It is estimated that the workshop has aided over 2000 industry employees by teaching them about the fundamentals of the paper industry!